Now that there are several babies in our extended family, everyone has stepped up their picture-posting game. Hardly a day goes by that someone doesn’t share a fresh photo of a cute toddler on their favorite social media channel. And that’s the problem. Everyone seems to have their own preferred platform. Some are anchored on Facebook while others prefer Twitter or some other outlet. And that makes it difficult for grandparents, in-laws, aunts and uncles to keep up. Simplifi Me could be the solution. The Android app lets users manage their social media by following their connections across multiple platforms. 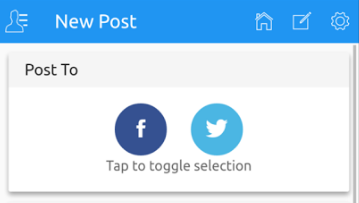 The app currently supports posting pictures and videos to Facebook and Twitter simultaneously and it and likes and comments on Facebook. Aggregr8tor, LLC, the app’s developer, says it plans to add more channels in the near future. With Simplifi Me, users sort all of their social media content by contact. That makes it easy to see what a particular person has posted without having to across through days of tweets or updates. Users can also use the app to share photos or videos to a wider audience. For a closer look at the app, check out Simplifi Me in the Google Play Store where it’s available to download for free.